I am super excited to celebrate July 4th this year! 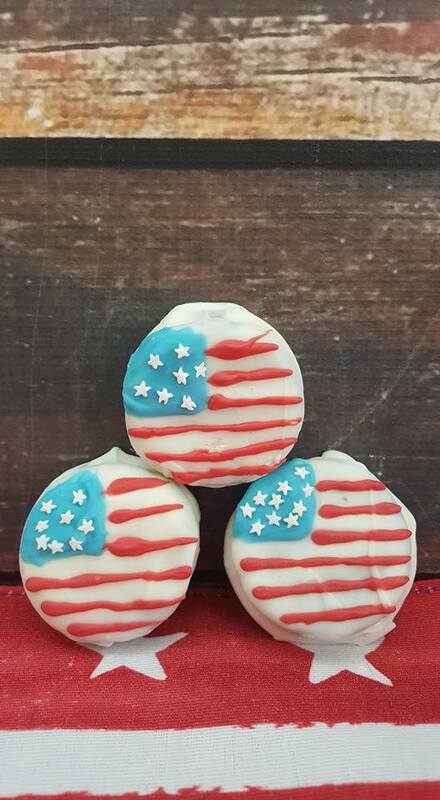 I have some super cute treats to serve including these awesome American Flag Chocolate Dipped Oreos! These could not be any more perfect for our celebration. The kids, and adults, will flip out when they see them. You don’t need to be an artist to make these (you can see my stripes are anything but perfect), make them with love and have a ton of fun while you make them. First dip your oreos in melted white chocolate set aside on parchment paper to dry. Melt your blue and red chocolate melts using my no fail melting directions below. Use a toothpick to help create your blue area and red stripes. Decorate with the white sprinkles from your sprinkle mix before your blue chocolate dries. 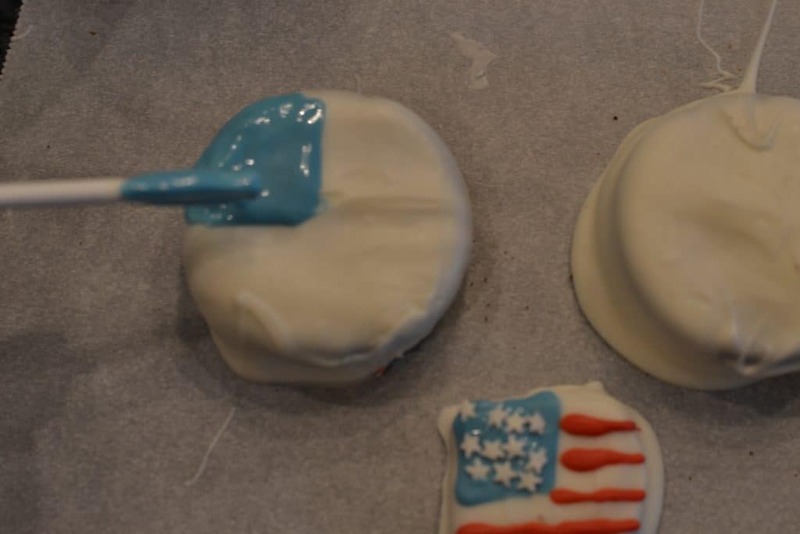 These cookies look delicious and fabulously patriotic! Not to mention easy! I would love for you to stop by for our Funtastic Friday Link party and share your recipe at easypeasypleasy.com! 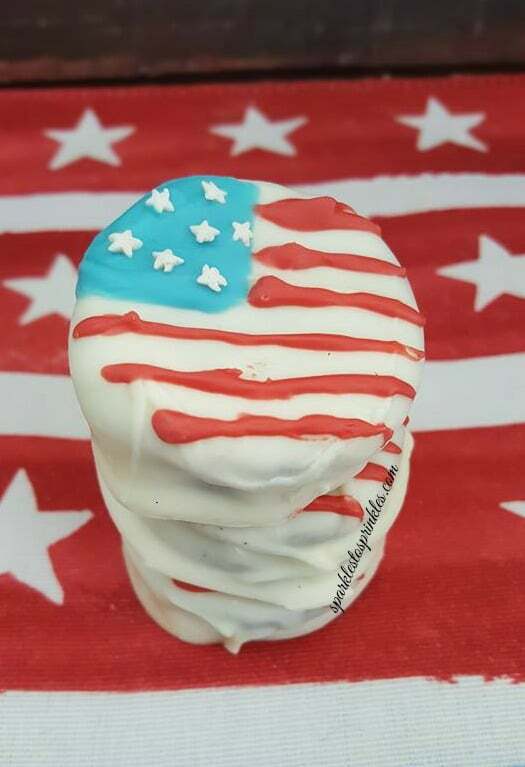 Your American Flag Chocolate dipped oreos will be featured tonight at Funtastic Friday. The party opens at 9 pm est.